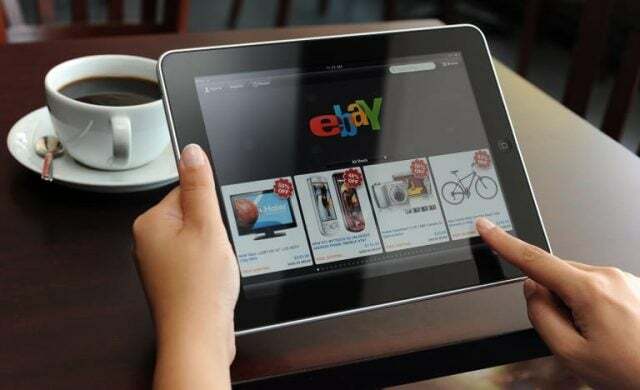 January is officially the most popular month to start an eBay business, after figures released from the e-commerce giant revealed that the site saw a 30% surge in new business registrations this month. The new year is historically one of the most popular times to start a business, with aspiring entrepreneurs seeking to diversify their income and be their own boss. A sure sign of the continued rise of entrepreneurialism in the UK, 75,000 businesses have started up via eBay’s mobile app alone in the UK over the past three years, with the top 10 most successful new businesses that registered in 2017 now turning over a combined total of £6m – an average of £600,000 per online business. It’s also been revealed that the peak time of the day for launching a business on eBay is between 12-4pm, as workers resolve to escape the office humdrum for the independence of running a business during lunch. An important point for those looking to start their own e-commerce business, the most popular products sold by new eBay businesses include car accessories, wall decals and stickers, CDs, DVDs and Blu-rays. 35% of the top 20 new sellers on eBay over the past three years operate in the car accessories category, where buyers can purchase niche parts for specific car models. Home and garden and physical media (such as vinyl) are the other most popular categories for most successful new firms. Started by Pierre Omidyar in 1995, eBay presents a promising launchpad for e-commerce businesses, giving them the opportunity to sell to the website’s 18 million UK users – or, for start-ups with global ambitions, 167 million users worldwide. With business packages starting from £25 a month, setting up an eBay store is low-cost and does not require extensive resources. eBay entrepreneurs can sell on products which they have bought in bulk from wholesalers, deal in high-value one-off items or simply auction knickknacks. Considering the potential for success that can be found through a relatively low-maintenance operation, managing an eBay store serves as a good option for aspiring entrepreneurs who are keen to run their own company but do not have a business idea. “2017 was a fantastic year for our sellers, many of whom saw export growth, with countries like Australia, the US and France the lead destinations for UK goods on eBay. “2018 looks set to be even better with start-ups launching in droves this January – providing even more choice for savvy shoppers looking to find a unique product online. To read Startups’ extensive free guide to starting an eBay business, click here.